Aldi’s special buys have done it again. If you’re heading on holiday anytime soon, the supermarket giant has just dropped a stylish travel range – and it’s super cheap. Shoppers will be able to pick up a two-piece luggage set for $99.99. 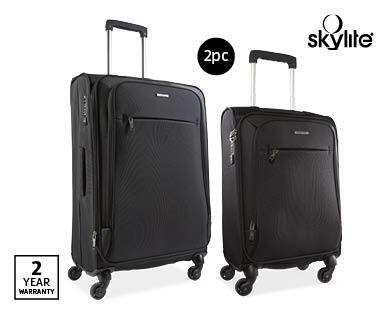 The Skylite set comes with one large and one small suitcase, both featuring smooth rolling spinner wheels, strong lockable zippers, expandable main compartments, dependable locks and padding. 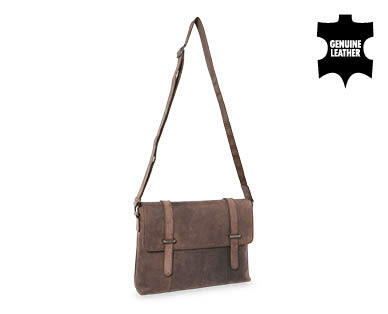 And there’s some amazing carry-on options too, with a small hard-shell suitcase on sale for $89.99. Its features list is impressive with a lockable front pocket laptop compartment and a USB outlet for power bank charging. In the past, comparison site Choice has rated Aldi’s suitcases up there among other well-known brands such as Samsonite. 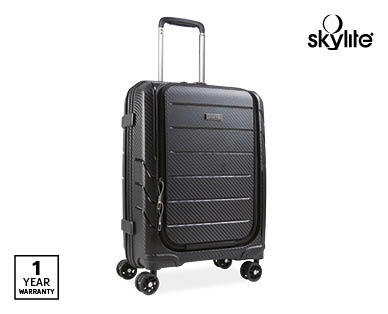 For example, when pitted against each other, both cases — Aldi’s $40 56cm Spinner and Samsonite’s $329 55cm Spinner — scored an equal 86 per cent across a range of tests including durability, stability and more. Meanwhile, shoppers will also be able to purchase a backpack for $39.99, leather satchels for $99.99, wireless noise cancelling headphones for $69.99, a power bank charging port for $9.99 and travel wallets for $14.99. What are your thoughts on this? Would you buy any of these?